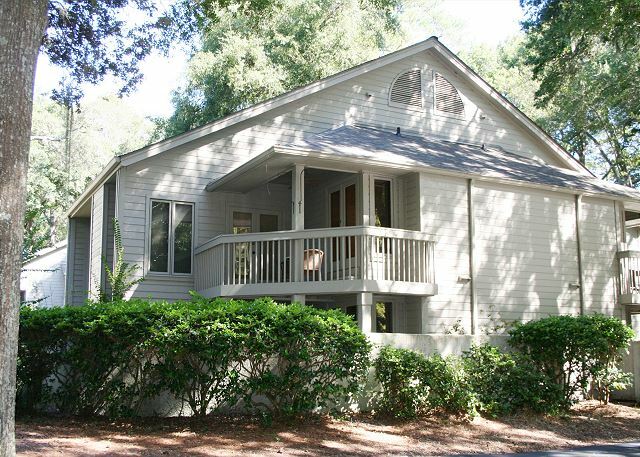 1 Bedroom Townhouse plus Loft in Palmetto Dunes easy Bike Ride to The Beach! Welcome to 1660 St. Andrews! The Beach at the Dunes House! Watch for the Dolphins that swim along our Shoreline each day! This charming second floor Townhouse offers an ideal retreat for a family or 2 couples. Guests of 1660 St. Andrews Common can enjoy the on site Pool, Pool House & Sun Deck which overlook a tranquil Lagoon with Water Feature. 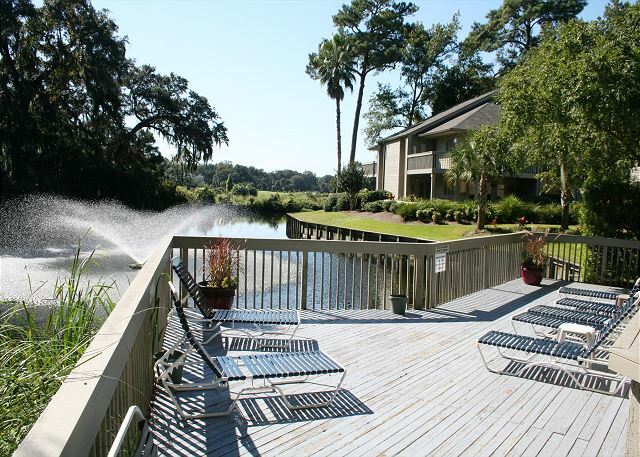 Rent a Canoe and explore the 11 Mile Lagoon System which winds it's way throughout the Palmetto Dunes Resort. 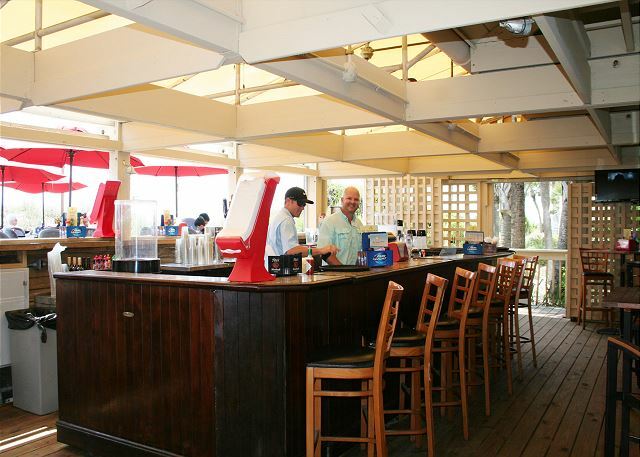 The Beach is an easy bike ride away or Guests can call for the FREE Beach Shuttle which services the Beach as well as offering rides to the Shelter Cove Marina. 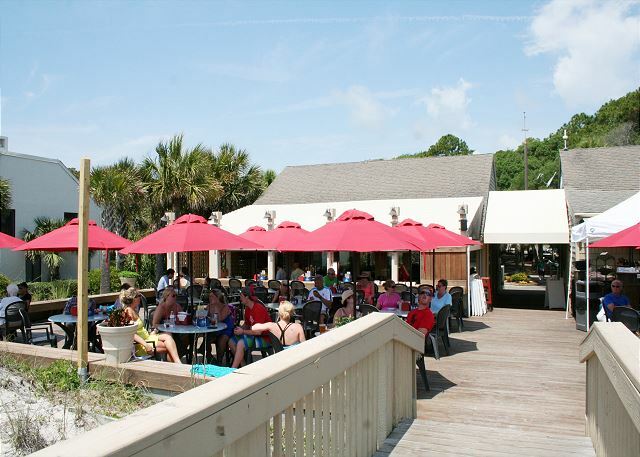 The Palmetto Dunes Resort is home to 3 Championship Golf Courses, World Class Tennis and the engineering feat known as the 11 Mile Lagoon System. Please note that there is no landline in this villa. GPS-20 Queens Folly Road From our parking lot turn RIGHT onto ARROW RD & follow to the TRAFFIC LIGHT. Turn LEFT at the LIGHT & approach the Sea Pines Circle in the LEFT HAND LANE. Take the 3rd turn off onto Bus. 278. At the 5th traffic light merge RIGHT into Palmetto Dunes & then turn RIGHT into St. Andrews Common. Copyright © Bluewater Business Solutions, LLC . All Rights Reserved.